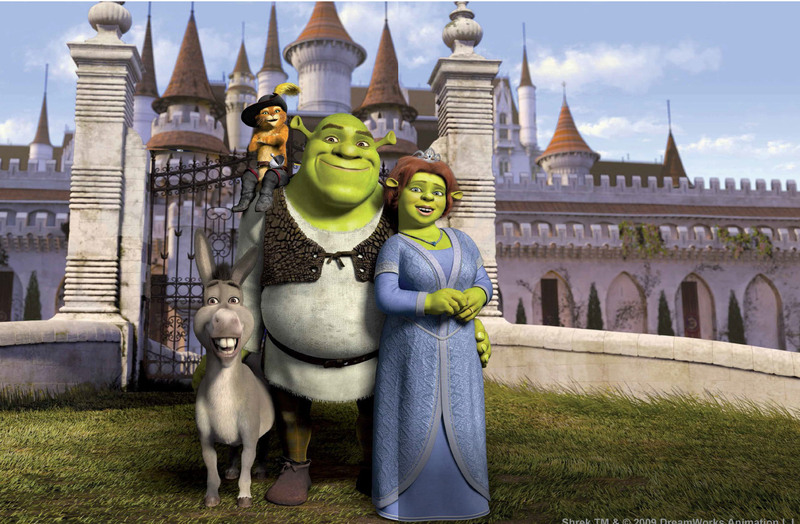 HERE ARE A FEW EXAMPLES OF THE ADULT-RELATED THEMES IN THE FILM SHREK. Donkey: Please. I don’t wanna go back there. You don’t know what it’s like to be considered a freak... Well, maybe you do, but that’s why we gotta stick together. You gotta let me stay! Gingerbread Man: NO! Not the buttons! Not my gumdrop buttons! Lord Farquaad: All right then! Who’s hiding them? Gingerbread Man: OK. I’ll tell you…. Magic Mirror: Our first bachelorette is a mentallyabused shut-in from a kingdom far, far away.